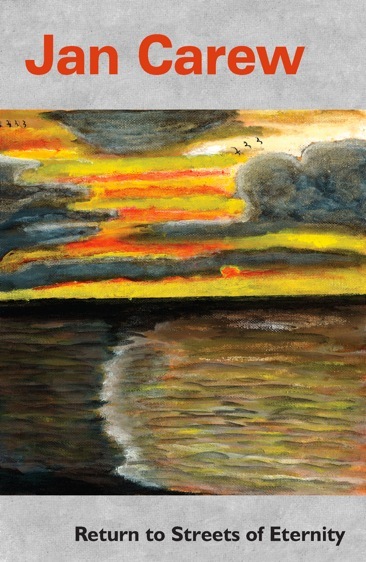 Jan Carew was a giant of a man – an artist, an author, a poet, a teacher and he was very tall too. 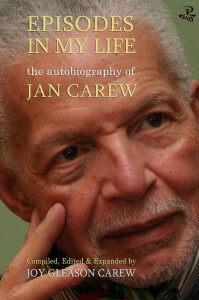 The occasion was the publication of two books, one a poetry anthology (Return to Streets of Eternity) and the other, an autobiography of key moments in Jan’s life (Episodes in My Life: the Autobiography of Jan Carew), documented by his loving and committed wife Joy Carew. The event was compered by Chris Searle, a friend of Jan Carew, who also helped collect together the poetry for Return to Streets of Eternity (Smokestack Books). You can read his introduction to the book here. Joy Carew gave a presentation on Jan, which featured clips from videos (see links below), sound files and archive pictures which provided a snapshot of Jan’s varied and long life. Below we reproduce excerpts from Joy Carew’s and Chris Searle’s speeches on the night. ‘Sivanandan came up with this wonderful term, “The gentle revolutionary” and for many people who knew Jan later in his life this was a quiet, apparently gentle man but those of you who knew him earlier knew he wasn’t necessarily a gentle one but he was definitely a revolutionary. Jan Carew had two kind of persona – which is interesting coming from the other side of the Atlantic where he is known in a different context, so I thought I would share some of that with you as well. 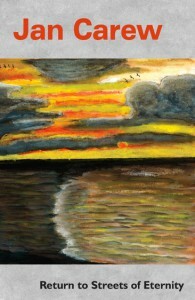 In England, Europe and the Caribbean Jan Carew was primarily known as a writer. A landmark writer whose works came out in the ‘50s, an anti-colonialist activist, broadcaster, playwright, actor. 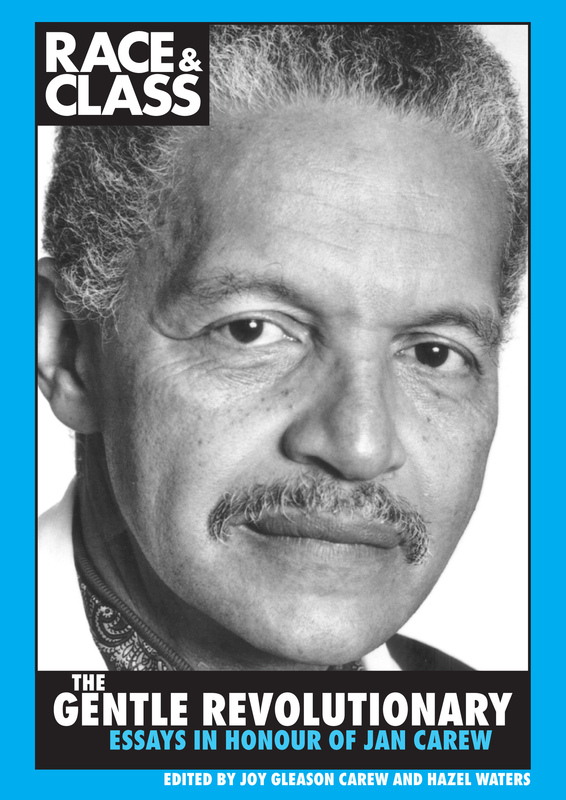 In the US, after 1968 onwards, he’s known mostly for his work around Black Studies and his essays dealing with racism in the Americas. So at that end people didn’t know much about this broadcaster, activist, actor that you guys cherish so much. So back to the Caribbean, Europe and Canada. Author of numerous books some of which are well known to you like Black Midas, The Wild Coast and Moscow is not my Mecca. 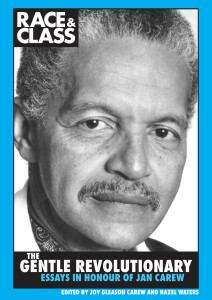 He was one of the founders of what is known as Black Studies in the US, starting in the late ‘60s when you have the first of what were the larger groups of black students coming to these universities and who were demanding that the universities respond to the needs of the black and communities of colour. So he’s known for that there, different from the literary man. 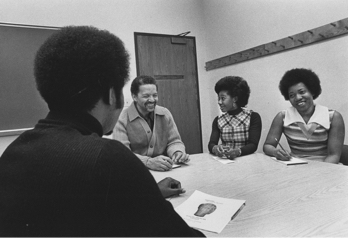 He retired from Northwestern University in 1987, an Emeritus Professor and even after retirement would be invited to universities to help shape their Black Studies programmes at other different locations so his imprint is seen in many different places in the US and Canada before that. Obviously Black Midas was what launched him into fame and recognition. It was also translated into other languages, Russian. A school edition came out which Jan grumbled took out all the juicy bits, and the most recent version thanks to Peepal Tree Press, the anniversary edition which came out in 2009. And I might mention those last two have a painting by Jan Carew because he was also a painter. One of the earliest jobs he had here and it’s true for many West Indian writers and hope-to-be intellectuals here in this setting was the BBC Caribbean Voices programme. It was a very important venue for writers not only to have their work heard but also for communities to hear stories from home and people would say voices from home. Jan Carew also was a playwright. 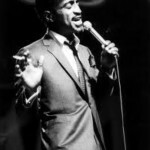 He worked with Associated Television and one of its productions was with a young Sammy Davis Jr. from the US, called The Day of the Fox (1961). 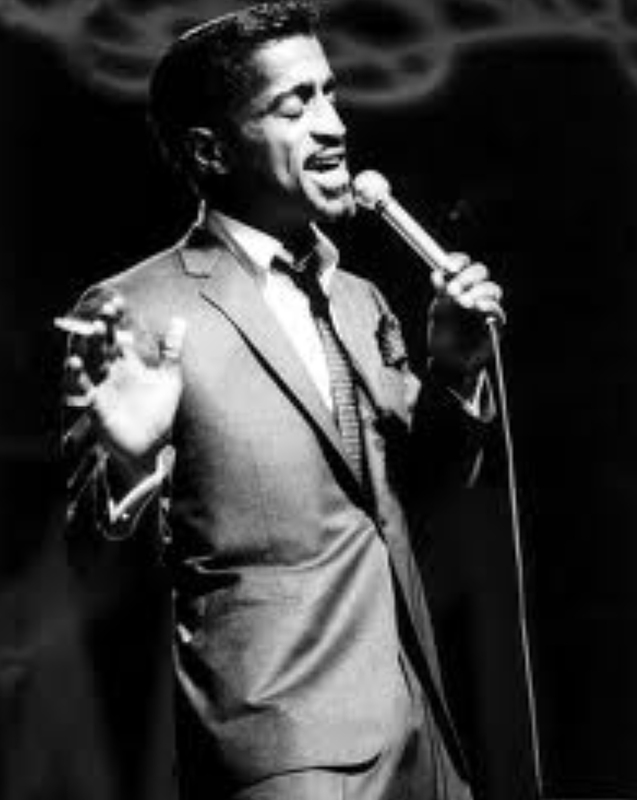 This was the first time Sammy Davis had done anything in this part of the world and before ‘The Rat Pack’ for which most people know him, so it was early in his career. 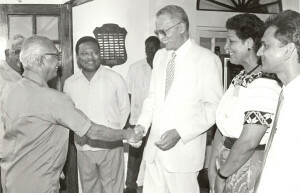 This [photo] is the last time he saw Cheddi in 1994 in Guyana. Jan was at the time President of the Association of Caribbean Studies and I think that’s Sam Hinds standing next to him and not such a flattering picture of me. But it was coming full circle round to Cheddi’s being re-elected at that period but unfortunately Cheddi would pass away not too long after this. 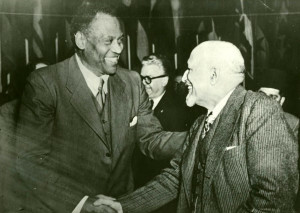 Jan was also very active in campaigns to free people he saw being illegally held and you will recall during the McCarthy period, after 1949, going into the ‘50s, Paul Robeson and W.E.B Du Bois, two African-American Pan-Africanists were being held in the US. Their passports were withdrawn and they were basically in internal exile. Jan was very active here in London in the campaigns to free the two of them and so this is a picture which we have determined is not of that period but actually in 1949 at the Paris Peace Conference. But interestingly it’s because of the Paris Peace Conference where they are speaking out against the US and its oppression of black people that they end up in this internal exile that will hold them through the ‘50s. Now Malcolm X you may recognise. 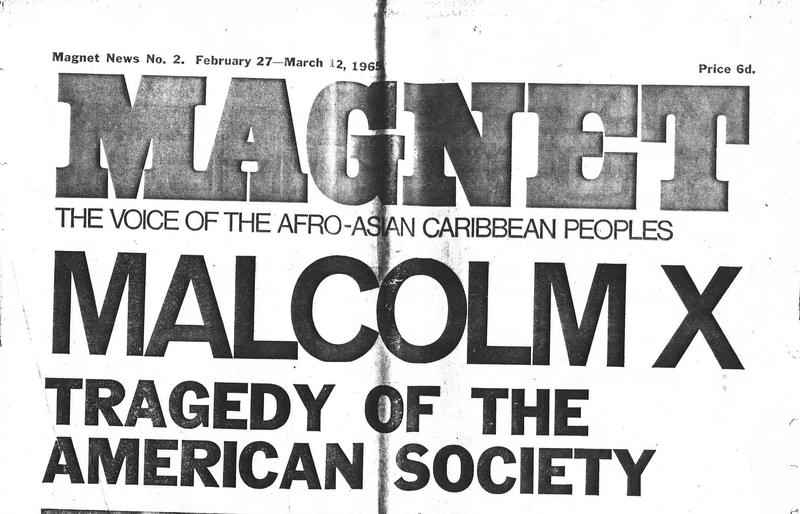 Now this is when Jan was the editor [in the UK] of a newly formed magazine called Magnet, again to cater to the needs of the black community. 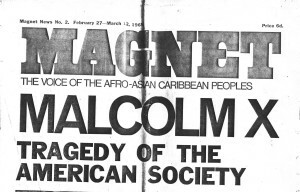 But Malcolm X happened to be here at the time they were doing the launch of Magnet and Dermot Hussey, who is the one in the picture there, is the one who went forth and Jan said “Well bring him here” and he graciously came to that meeting. But that meeting then led to several days of intensive conversations on the part of Jan and Malcolm X. 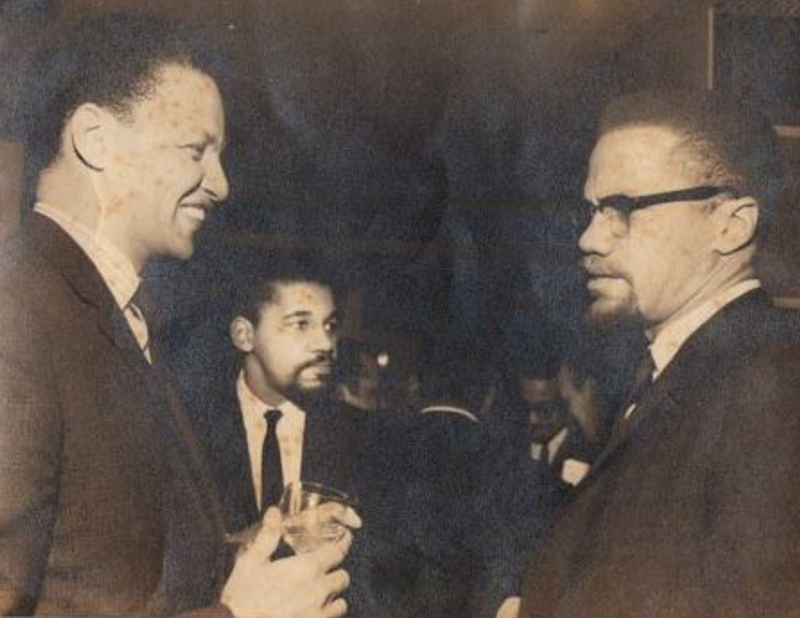 Their friendship was unfortunately a short friendship because when Malcolm X went back to the States shortly afterwards he was assassinated. 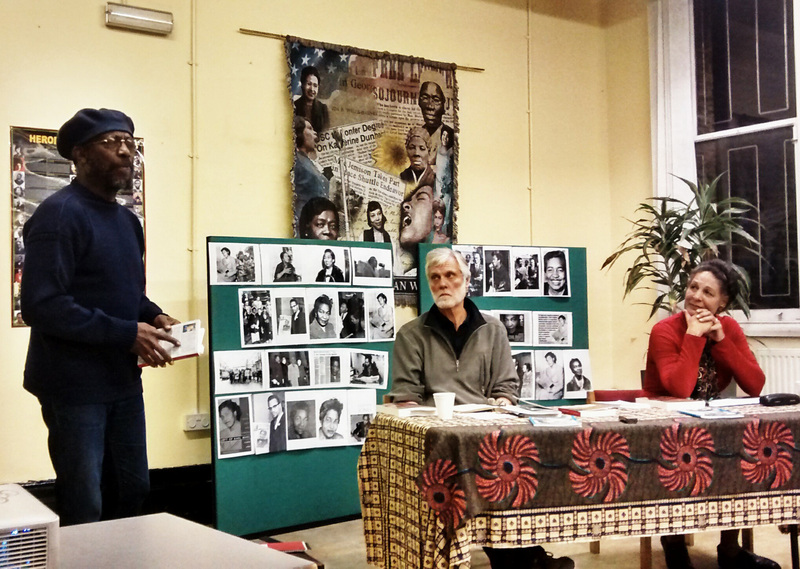 But you will recall that Jan wrote a book reflecting on those days with Malcolm X and Malcolm’s place in the larger pantheon of the struggle, called Ghosts in our Blood: Malcolm X in England, Africa and the Caribbean. 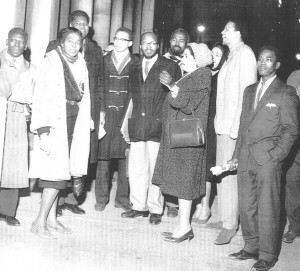 After Malcolm X was assassinated Jan was getting very disaffected with living here so he decided he needed to go somewhere he could contribute directly to the struggle and was contacted via Nkrumah through another colleague and then decided to move to Ghana, where he became the Editor of the African Review and advisor to Nkrumah on publicity matters. Unfortunately, in 1966, there was an abrupt end to the Nkrumah administration and Jan was there at the time of the coup. Part of the memoir deals with the anticipation of going and being part of this Pan Africanist movement and people focussing on Ghana, a symbol, this iconic opportunity to make a difference, and then the collapse of this following the coup. After that, he moved back to Guyana. Guyana got its independence around that same time, I think ’66, and he was down there when the writer Austin Clark, a Barbadian/Canadian writer – he had actually come to interview Jan here, went back to Canada, kept in contact and eventually convinced Jan to move to Canada. You can see a pattern here. Jan never had a problem with moving to the next place. There was always that next opportunity. So he moved to Canada in 1966, was there for about five years, had a residency there for five years and then towards the end of that doing a piece for the CBC [Canadian Broadcasting Corporation] he ended up coming to the US and being introduced to these young poets and artists who were speaking out as part of the Black Power Movement. He got very excited about it and was then made an offer to actually stay in the US and teach, which he ended up doing and never left. This picture is from Northwestern. I actually was hired the next year after this picture was taken. You can see this was the Afro period. He also taught at Princeton and Rutgers. 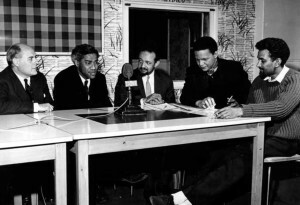 And as I said these were the days where they were just beginning to shape what was going to be Black Studies, and of course this evolved considerably since then, but Jan was one of those early persons to give it some shape and form. When he retired finally from Northwestern, it was 1987, he moved to Mexico for a couple of years and started moving even more after that. So Jan Carew did finally, finally, finally, late in life, agree to write his memoirs. He was always very reluctant to do that although now that I’m going through his papers and cataloguing things I can see in the early periods in the 1960s he started sort of writing his memoirs but he’s always put it aside because he was not ready to put a capstone on his life which a memoir implies. He was too busy doing everything else, writing poetry, novels and children’s books and things like that. 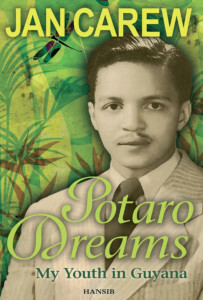 But two years ago Hansib Publications brought out the first volume [Potaro Dreams] just basically looking at his life in Guyana, his home country up to the time when he leaves after World War II and then the memoir that you have now. 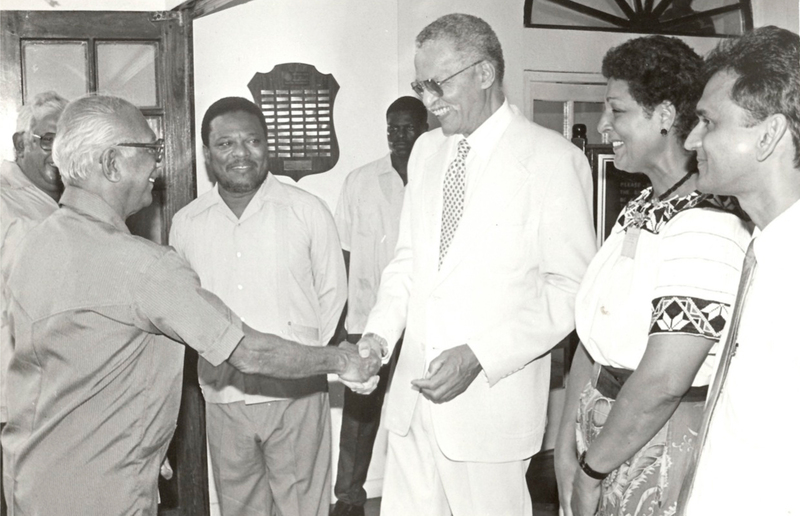 Episodes in my Life: the Autobiography of Jan Carew picks up from that point on – a little bit of Guyana bringing it up to a more contemporary time. But Jan always felt you can’t know a person if you don’t know his or her origins, so he is always embedding aspects of his youth in his writing about other things. So if you look at the Malcolm X book he’s got a whole section on his family in there even though the book was about Malcolm X because he writes comparatively about origins and family. ‘Thanks a million Joy. I just want to say a few words about Jan and his work. I first encountered Jan through his writing when I was a young teacher in Trinidad and Tobago in 1968. That was fairly close after Independence and the colonial curriculum still ruled in most secondary schools except for one book which I, as an English teacher, had the real pleasure of teaching, which was a book called West Indian Narrative. I don’t know if any of you who have studied in the Caribbean remember it in the ‘60s. 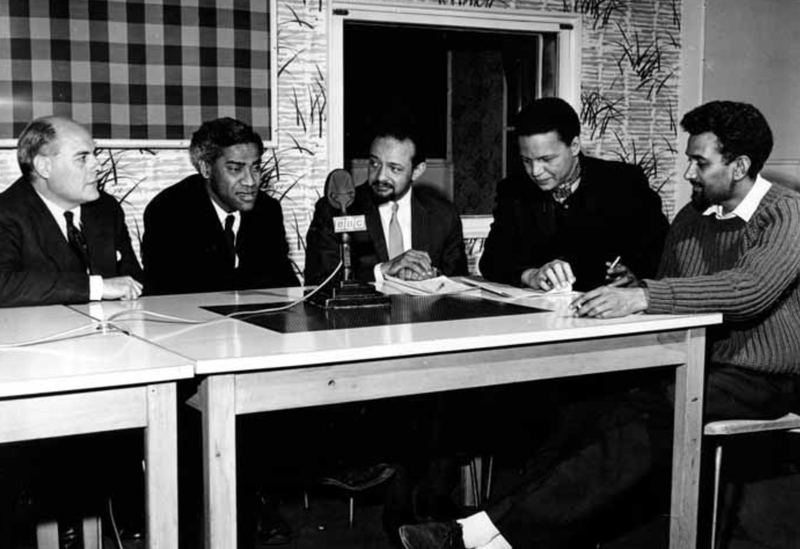 Kenneth Ramchand was the editor. 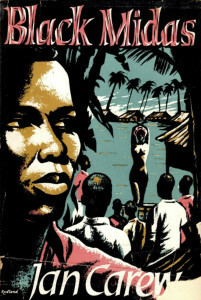 But it took extracts from some of the great Caribbean novels, one of them being Black Midas. Now I found that a lot of my students – I was a teacher in a secondary school in Tobago – were pretty fed up with the kind of neocolonial English nonsense that was being put to them. You can buy Return to Streets to Eternity from Smokestack Books and Episodes in my life: the autobiography of Jan Carew (compiled, edited and expanded by Joy Gleason Carew) from Peepal Tree Press. Many thanks to Anni Dryden for transcribing the audio recording of the event.